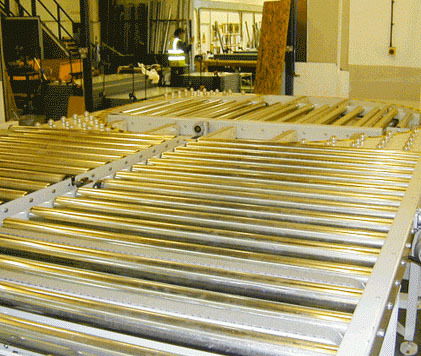 Andrews Automation offer a comprehensive range of 24vDC powered and non-powered accumulation roller conveyor systems. 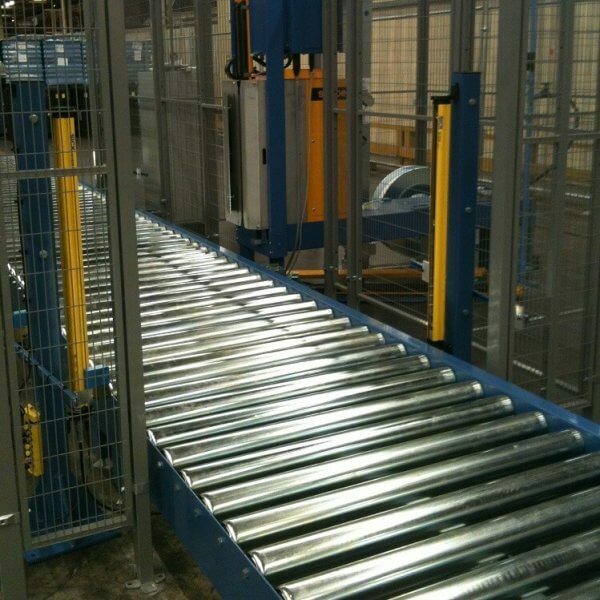 Andrews Automation have worked with many manufacturers throughout the UK and Europe to design, manufacture and install roller conveyor systems which allow companies to move far larger quantities of stock throughout their sites. Systems can be designed and custom built to incorporate almost any element a manufacturer may require. Non-powered sections can be built in enabling staff to manually process sections, this can be utilised for quality checking and removing rejected products. Andrews Automation recently designed, manufactured and installed a twin belt roller conveyor system which incorporated a mixture of 24vDC powered and non-powered roller conveyors. This was as well as a twin belt conveyor which was used to connect the main warehouse to a mezzanine floor which was used for storage and order processing. The existing system used a lot of manual handling by warehouse staff which caused numerous health and safety issues and a very slow processing time. 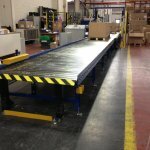 The roller conveyor system removed this manual handling aspect, improving health and safety and increasing productivity. The new system also required far less staff to run and monitor the processes, reducing labour costs and improving the order fulfillment time. If you have an existing system that requires extending or would like to new roller conveyor system, Andrews Automation can provide a versatile solutions which works perfectly to your exact specification. Give us a call today on 01405 768 900 to discuss your automation requirements.